It is Friday 1pm and I’m back to Europe. 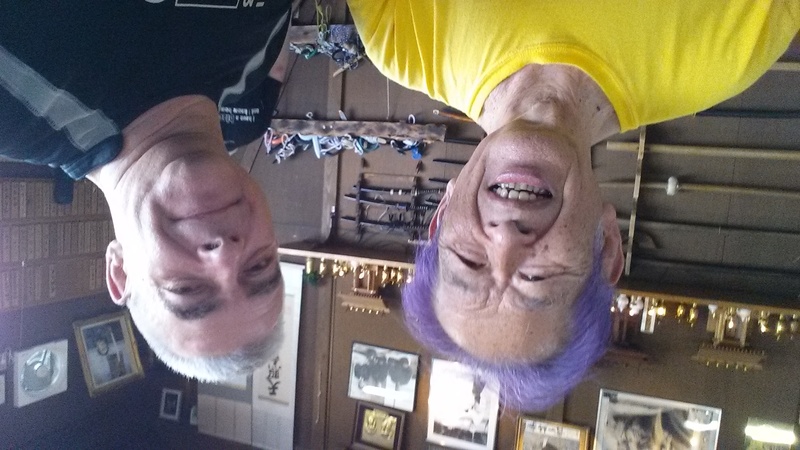 Hatsumi sensei’s Friday class at the honbu just finished. Each time I’m back to Europe, I have this strange feeling. I wish I could still be there and train with him at the honbu. Each time I’m back I try to figure out what is it that I’m missing from his trainings when I’m not there. Sensei’s Budô is not something you can learn in a book, it can only be learnt by being there physically. Over the last 25 years I have been quite many times to Japan to train with Sôke, and I am happy for that. But still, I missed all the classes he taught when I was not there. If I do the math, I attended only 7% of the classes he has given in this period. And I sometimes wonder what would I have been able to acquire, if I had been attending those missing 93%? A lot I guess. The path of Budô is an endless one, and one life cannot suffice to learn all that it is to learn. So 7% is really far from enough. This is why personal training is so important. Over the years I noticed that the “magic” of Japan doesn’t last more than two weeks, but if I train the things and feelings that I got while at the honbu, then this “magic” can stay alive a little longer. But since we entered the essence of things, things get more complex. In the latest themes of the year, there is nothing mechanical to reproduce. Things were much simpler when the themes été covering schools or weapons. Since we moved to highest expression of Juppô Sesshô, there are no techniques to train, only feelings. And being away from the source, the betterment of our taijutsu is more and more difficult every year. When I look back at this last Japan trip, I have a hard time figuring out in which direction I have to go. Sensei’s movements are non existent. There is nothing because he is doing nothing, but this nothing is everything. His taijutsu has reached such a high level that mimicking what he does – or in this case, what he doesn’t do – becomes nearly impossible. Yes it is sad to know that I missed the class tonight. Arnaud Sensei, thank you for your posts. Have a safe journey home.